How many pounds of carbon dioxide (CO2) does a gallon of gas produce? Before answering this question it helps to first know how much a gallon of gasoline weighs. Gasoline has a weight of just over 6 pounds per US gallon. A natural guess could then be that about 6 pounds of carbon dioxide (CO2) is produced from the combustion of a gallon of gasoline. However, to the surprise of many, that guess would actually be too low. 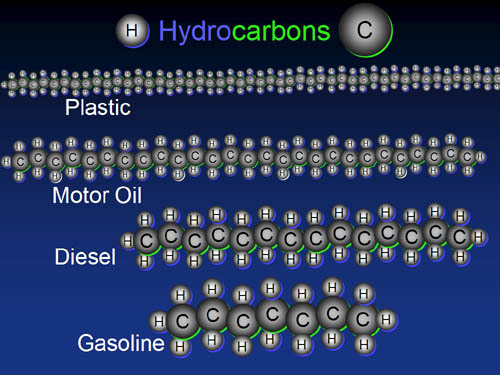 Gasoline is comprised primarily of carbon and hydrogen atoms linked together forming large carbon chain molecules. During the combustion process, the chemical bonds linking individual carbon atoms together are broken apart, releasing energy that is used to power the vehicle’s engine. When the bond between two carbon atoms is broken, each of those freed carbon atoms then bond naturally with other atoms in the atmosphere, typically oxygen atoms. From this chemical reaction we find the answer to our question. A single carbon atom has a molecular weight of 12. After combustion, the vast majority of carbon atoms in a gallon of gasoline bond with two oxygen atoms, forming carbon dioxide (CO2) molecules. An oxygen atom has a molecular weight of 16. 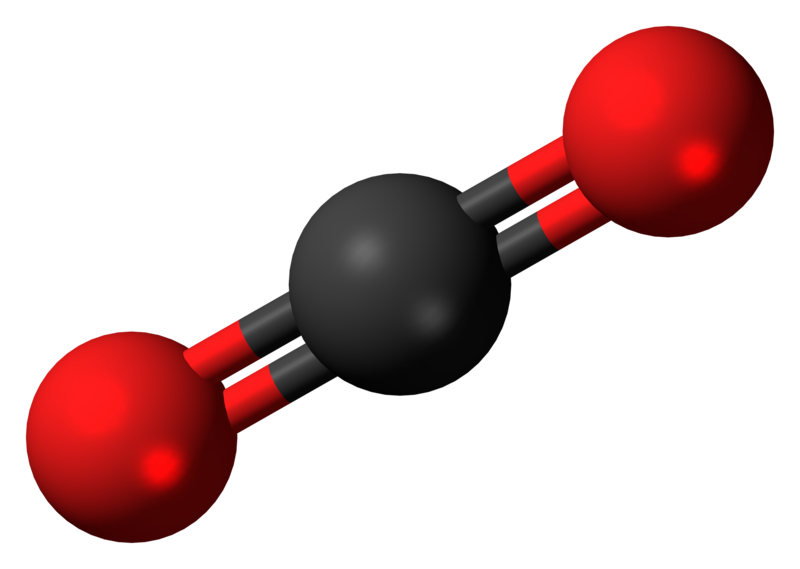 Therefore, a carbon dioxide molecule has a molecular weight of 44. So a single carbon dioxide molecule is 3.6 times heavier than a single carbon atom. The EPA cites that the carbon content of a gallon of gasoline is 5.3 pounds (2,400 grams). If each carbon atom in a gallon of gasoline becomes 3.6 times heavier when converted to carbon dioxide after combustion, then the 5.3 pounds of carbon in a gallon of gas becomes just over 19 pounds (8,650 grams) of carbon dioxide. So the answer to the question posed at the beginning of this post is that after combustion, one gallon of gasoline weighing about 6 pounds, forms just over 19 pounds of carbon dioxide. Put in perspective, when an 18 gallon tank is filled at the pump, that car leaves the gas station about 108 pounds heavier. Once that tank of gasoline has been consumed, that 100 pounds of gasoline has been converted into over 340 pounds of carbon dioxide and deposited into the atmosphere. This entry was posted in Energy, Energy Efficiency, Greenhouse Gas, Transportation and tagged Carbon, Carbon Dioxide, CO2, CO2e, Gas, Gasoline, Transportation. Bookmark the permalink. 2 Responses to How many pounds of carbon dioxide (CO2) does a gallon of gas produce? Just curious, is it possible three years later to correct mistake in co2 molecule. Wording says two carbon molecules plus one carbon molecule. Thanks for noticing the typo. We have fixed this.